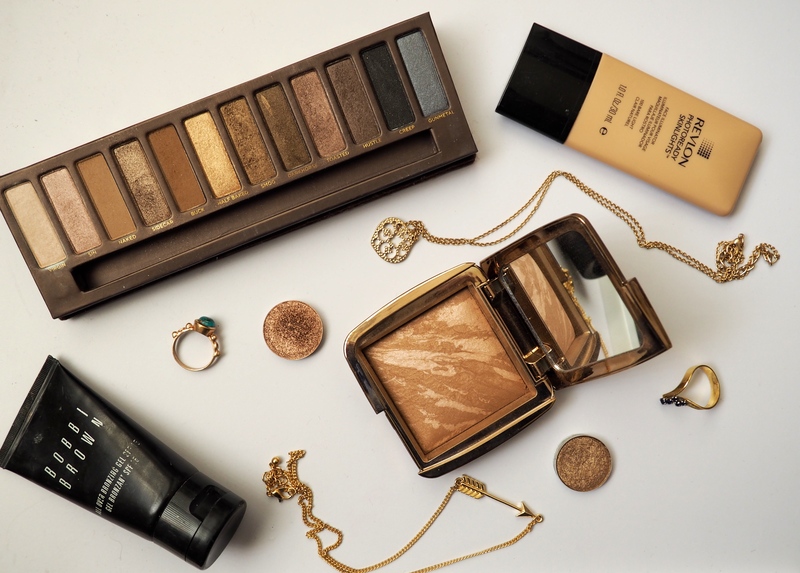 Even though here in Australia we are still in the cold depths of winter a girl can dream of the beautiful summer times that lay ahead, so in my haste to get to summer I though I would share with you my favourite products to get the beautiful bronze goddess look. The first product which I believe is key to the bronzey look is beautiful glowy skin. Now as I am an oily skinned lass it is not possible for me to use the sheer luminous glowy foundations that most people like to use during the summer, if did that my makeup would be running down my face by 10am. What I like to do to add some glow is add an illuminator either as a base or mixed in with my mattifying foundation. I love the Revlon Photoready Skinlights in Bare LIght – Even when used underneath foundation this gives a beautiful lit from within glow that just screams its summer and I’m a bronze goddess! As well as a lit from within glow I also like to have a bit of somethin somethin on top to give me the perfect bronze glow, option 1 here is liquid bronzer the one that I love is the Bobbi Brown All Over Bronzing Gel in Desert Sun – Now I don’t use this all over my face but I do like to use it where I would normally use a powder bronzer in the places the sun would naturally hit. This looks kind of scary when you squeeze it out of tube, its dark with gold shimmer through it. But once you blend it into the skin it looks beautiful and natural leaving a bronzy glow and not a muddy brown look. Now if you’re going for the all out, I’m bronzed and I know it look, then you can always add a little bit of the Hourglass Ambient Bronzer in Luminous Light – Ever since I purchased this last month I have been using it non stop, even though it’s winter I want to glow so bad! Now as I said you can use this over the top of the Bobbi Brown bronzer but that could be a little bit over the top, but this bronzer on its own is absolutely stunning. I’m normally one to go for a matter bronzer however, when this beauty came along I new I had to try it, it just adds that extra depth to you skin whilst giving you a healthy glow or the ‘I’ve just come back from holiday look which can’t be beaten. For me a bronze goddess look can not be complete without a gold/bronzey smokey eye. For this I love using the Urban Decay Naked Palette – This cannot be beaten for all the bronzey gold shades looks ever. I have been using this a lot lately due to my palette challenge so I have been giving my bronze looks a really workout. I love using the gold shade half baked all over the lid with the matte brown, buck, in the crease and the dark brown, smog, to add even more depth to the crease. I also love to use Makeup Geek’s Foiled Eyeshadow in Grandstand – I don’t know how they do it but this is the creamiest most pigmented bronze shade I have ever worked with, I just wear this alone on the lid sometimes and it looks like I have worked really hard perfecting a bronze smokey eye, this shade plus a the perfect crease shade, some brown eyeliner and lashings of mascara and your eye look is done! Another honourable mention is Mac’s Tempting – Another shimmery bronze colour that looks great all over the lid. What I love most about the combination of these products is the beautiful healthy look that it gives you. You can feel like rubbish and look like you are glowing from within! Who wouldn’t love that? What are your got to products to look and feel like a bronze goddess?